Pinkathon is India’s biggest women’s marathon. 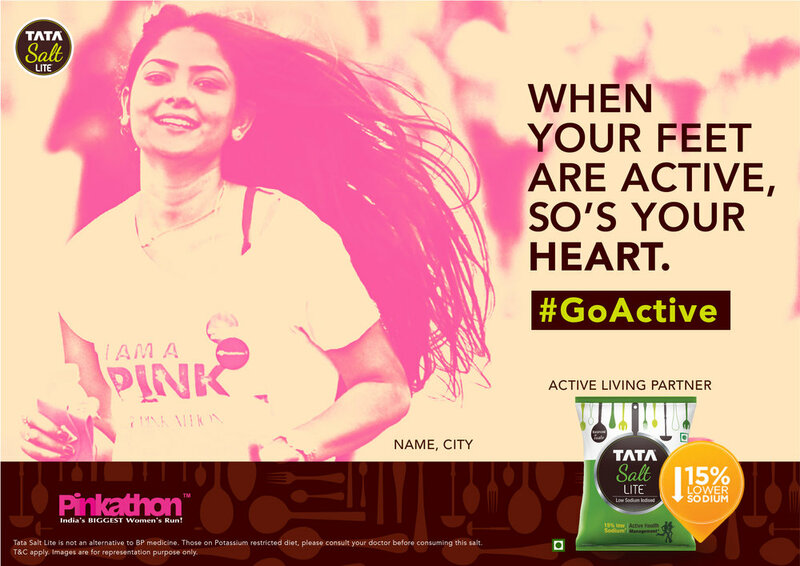 In 2017, for the first time, Tata Salt Lite partnered with Pinkathon, to highlight their focus on improving women’s health. We came up with a campaign called #GoActive to encourage Indian women to participate in the marathon and take up running as a sport in order to stay fit. For Indian women, exercising is restricted to yoga or an indoor activity. Running is looked down upon and considered to be unflattering for women.The first film in the series is about how people, including our friends and family, discourage us from running and how sometimes running from these critics is the best thing we can do for ourselves. It doesn’t matter who you are. Or what you do. All that matters is what you do to stay fit. The last film is about the excuses that we make on a daily basis in order to avoid running. It's something that every woman across age groups, religions or professions does constantly and how we should not let our excuses win.